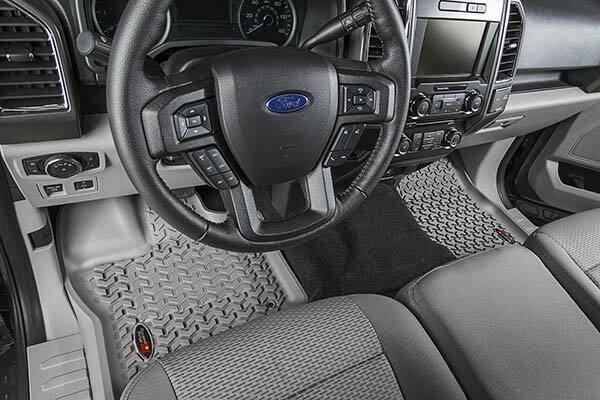 Whether you're tackling rough off-road trails or daily adventures, your interior can really take a beating. Rugged Ridge All Terrain Floor Mats deliver the burly protection that you need to take on any task without destroying your interior. 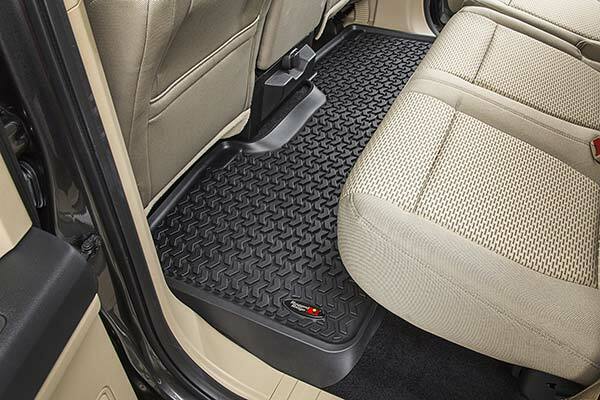 Using state-of-the-art technology, Rugged Ridge designs these floor mats for a precise, custom fit to your interior. 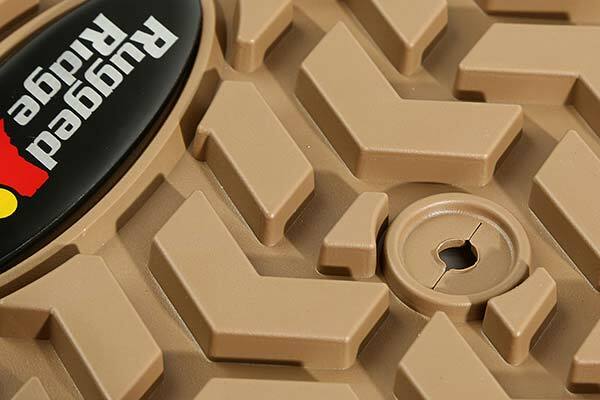 So you get a secure fit that won't let messes get through. 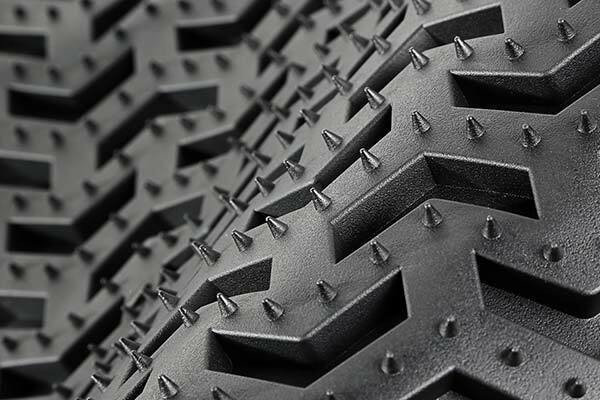 The innovative chevron-shaped tread in your Rugged Ridge All Terrain floor liners is specifically designed to contain dirt, mud and snow. 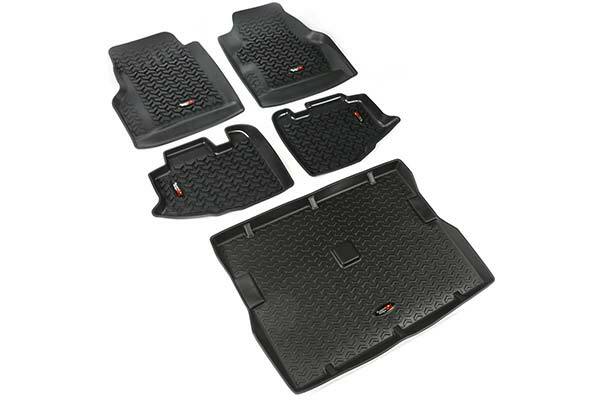 Constructed from durable thermoplastic elastomer, these floor mats look and feel like rubber and provide a non-slip surface. 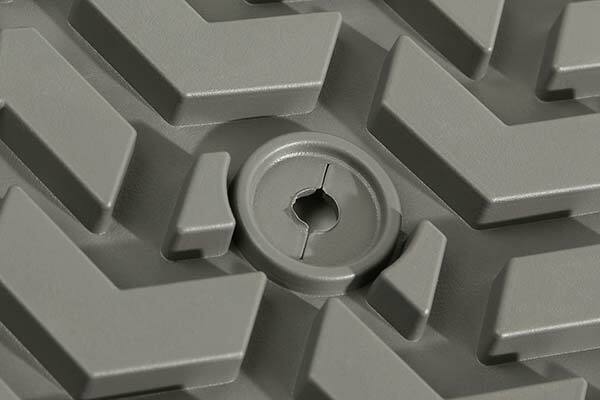 The self-sealing floor hook attachment keeps dirt and debris from getting through. 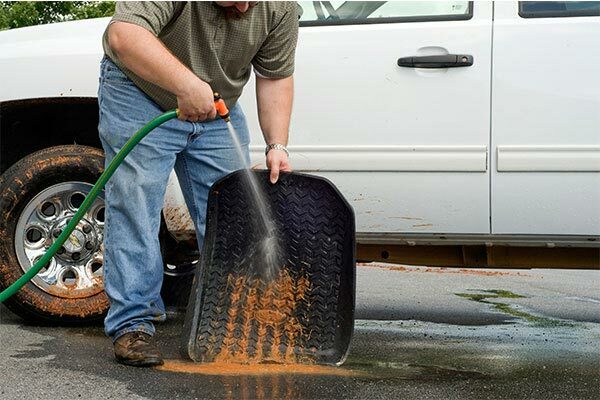 Plus, cleaning them is as easy as hosing them off. 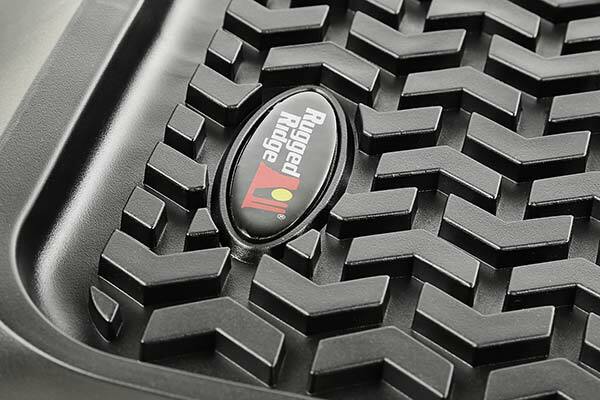 Even better, your new Rugged Ridge All Terrain Floor Mats are backed by a Limited Lifetime Warranty. 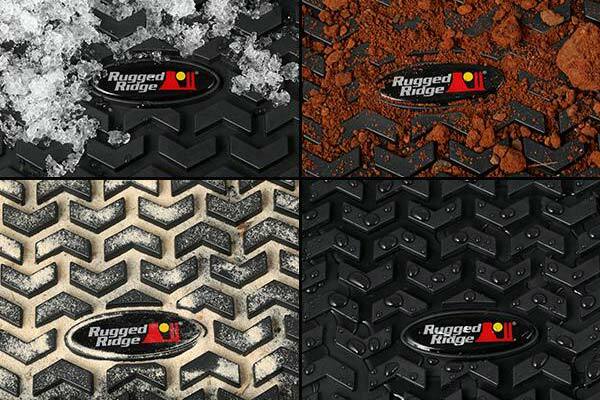 These appear to be very rugged and durable. 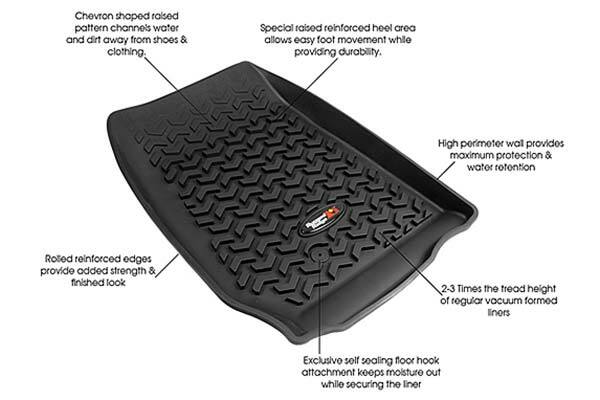 I replaced my WeatherTech floor mats with these and I am very impressed so far. I feel that these are a great value for the cost. 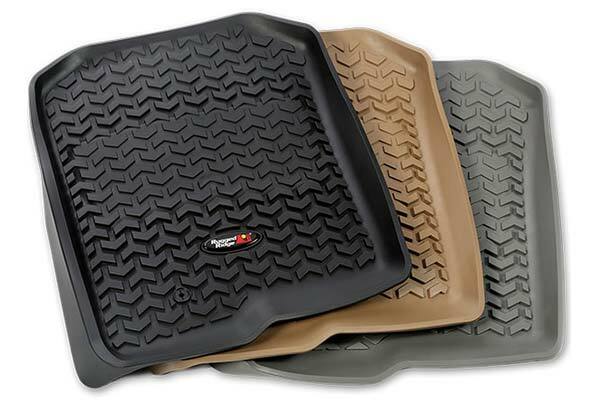 The material feels very durable and I expect that these will outperform the factory and WeatherTech floor mats that I had previously. They look great in my FJ. 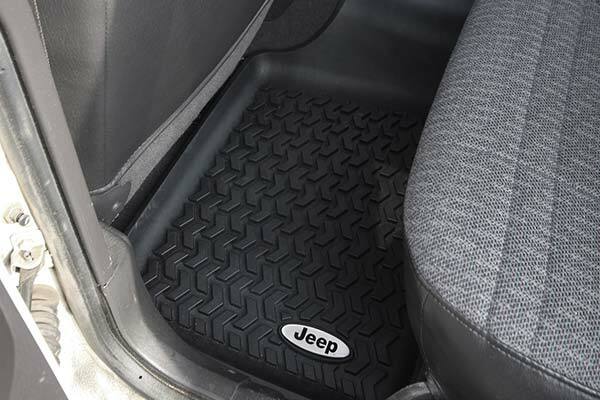 These floor mats fit perfectly! Highly recommended! 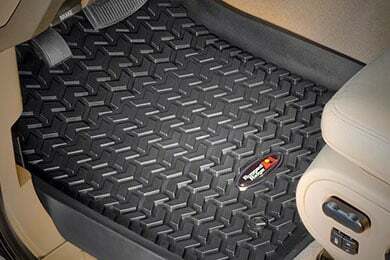 I love my floor mats. 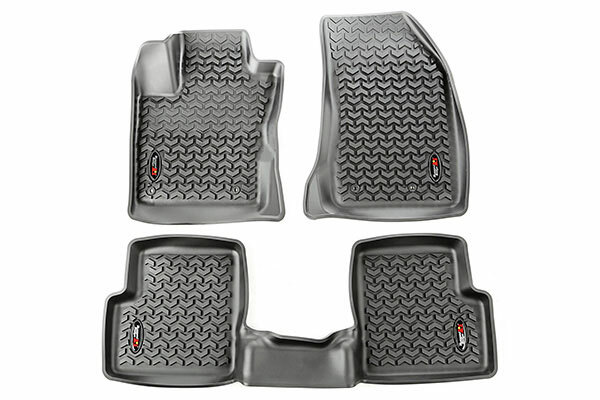 Reference # 762-514-973 © 2000-2019 AutoAnything, Inc.